Amazon to hammer Home Depot in Canada? I was pleased to learn this morning that Amazon.ca is now carrying building tools and supplies. Not so much because I’m a huge buyer of tools or an Amazon fan, but rather, because Canada needs this sort of competition. With Amazon continuing to expand its Canadian offerings, retailers that were only half serious about their online offerings will have to step up their game or get out of the way. Home Depot online has always been a bit of a hassle and their prices really aren’t that great. A quick comparison of their prices and service with what Amazon is offering bears that out. 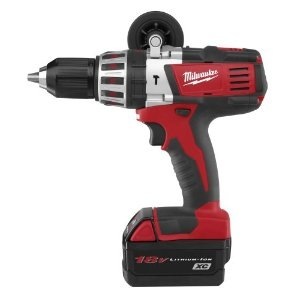 For example, take the Milwaukee 18 volt Hammer Drill. Home Depot lists it at $419. Add HST and shipping, and this drill will set you back $483.97. By contrast, Amazon is selling it at just $398 and includes free shipping. The final price tag at Amazon is just $456.75 – a tidy savings of $27.22 over Home Depot. Home Depot has the advantage of its retail locations that give customers the opportunity to do some hands-on shopping and comparison. However I’m certain that for many items, the savings will be enough to compel many customers to do their browsing in Home Depot’s big box stores and place their order online after they’ve made up their mind to make sure they capture the savings that Amazon is passing along. One of the most promising product releases in years and they blew it. …have you seen that ugly thick bezel? …doesn’t have a proper USB interface. I hate proprietary connectors.